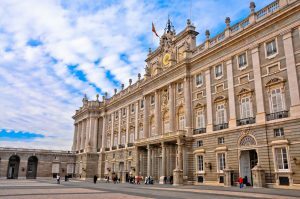 If you are traveling on Air Europa or Iberia, your chances are that you will get a layover in Madrid, the Spanish capital. If it is a long layover, don’t lose the opportunity of visiting the city, of course, it is a big city and you could spend more time here if you wish to enjoy the city fully, but one day in Madrid is enough to see the most important tourists points of the city. First of all, don’t worry about getting out of Barajas airport to visit Madrid. 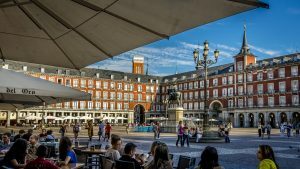 The city has a great infrastructure and it is pretty easy to come and go through, so it won’t be hard to enjoy your long layover in Madrid, and it will be totally worth. Barajas is the international airport of Madrid and this is probably the airport you will arrive in. 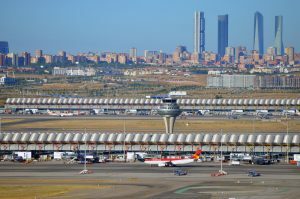 Although it is super easy to get to Madrid’s downtown from the Barajas airport, you must bear in mind that this is one of the five biggest and busiest airports in the world, and boy, it is HUGE! 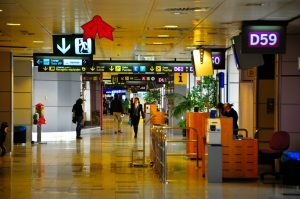 The airport has four terminal and to go from one side to the other can take up to 20 minutes so if you have a short layover in Madrid, don’t distract yourself, because it can take a while till you figure out and get to your gate. Barajas is situated 12 km away from the city center, but it is really easy to get to the city center thanks to how well connected everything is, both the airport and the city are completely organized to make it easier for tourists to come from the city center to the airport and vice versa. In case you have a long layover though, and by long layover, I mean at least more than 4 hours, you can pretty much visit the most important points in one day or in a few hours if you make a good logistic of your time. If you are planning to visit Madrid during your layover, you can use the use the luggage storage located in the terminals 1, 2 and 4. There are many ways to get to the city center from the Barajas airport. You can take a taxi, which can be kind of expensive, take the metro, which I don’t really recommend and will explain why shortly, and the transfer or shuffle that will pick you up in front of the airport and leave you right in the heart of the city. Aerocity is a taxi service that operates in the airport that offers a 7-seater van to take you to whatever destination you want. 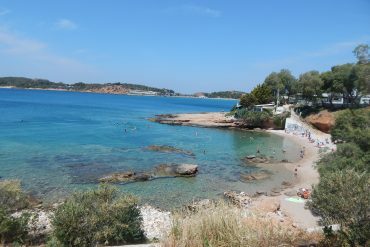 It is cheaper than a normal taxi and the price can vary depending on a number of people on your group. The prices go between €20 and €30. It can be reserved in advance from their website. The good point in it is that you can choose your destination but I would recommend Aerocity only if you are staying for at least one day in Madrid so that you can reach your hotel easily. The Airport Express is probably the best option if you want a comfortable and cheap mean to get to the city center, the price for its ticket is around €5 and the trip takes 40 minutes until the last stop. The bus makes three stops after the airport: O’Donnell (which is close to a metro station), Plaza de Cibeles and Atocha (a train station). If you want to visit the tourist points, you can alight at Plaza de Cibeles. You can take the bus at the entrance of terminals T1, T2 and T4 it is a 24-hours service and the buses run every 15 minutes during the day or every 35 at night. The tickets can be bought on board. This option can be a bit complicated especially if you are new to the city and don’t speak Spanish. Madrid is a big city and so is its metro system. Buying the tickets and taking the metro, at least in the first time, can be a bit challenging. You can hop on the metro line 8 in terminal 2 or terminal 4. If you arrive in Terminal 1 or 3 you can take a free bus inside the airport to change terminals or simply walk till there. The metro runs every 5 minutes during the day and 10 minutes during the night and the time of the trip till Nuevos Ministerios (Madrid’s central station) takes only 15 minutes. The tickets can be purchased from the tickets machine at the toll entry in the airport and metro stations and the price with the airport supplement starts at €4.50 depending on your destination. In Plaza de Cibeles is located one of the most famous monuments of the city, a fountain of the goddess Cybele riding a lion-drawn chariot. Behind it is the Palace de Cibeles, the building was first a mail-post then the city hall and now it is a cultural center, hosting art exhibitions and workshops, etc. The cafe on the top of the building has a beautiful view of the city. Nearby, in the Plaza de Independencia, is located the Puerta de Alcala. Older than the Arc Triomphe and the Brandenburg Gate, it is considered as the first modern post-roman triumphal arch build in Europe and used to be one of the old gates of Madrid. Going down in the avenue Calle de Alcala, there is a beautiful building that used to be the headquarter of the National Bank of Spain. Nowadays it is the Instituto Cervantes, a cultural institution that promotes the Spanish culture and language. Going further, until the end of Calle del Alcala, is the famous pedestrian square Puerta del Sol, a huge opened area full of street artists and lotteries. In the center of the square is a plaque on the ground marking the Kilometré Cero, the center of Spain. 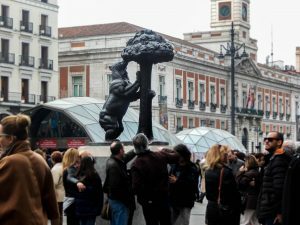 Puerta del Sol is the house of another famous monument in Madrid, the Estatua del Oso Y El Madroño (The Bear and the Strawberry Tree) representing the official Coat of Arms of Madrid. In Puerta del Sol, look for the only orange building, this is the Madrid’s city hall, in front of this building is celebrated the New Year and try to eat a dozen grapes, one for each chime, a tradition dated from 1895. It is said that the one who manages to eat all twelve grapes, which is almost impossible, has the chance to make a New Year wish! Following the avenue in front of the square, the Calle Mayor, it will bring you to another important public square in the city of Madrid, the Plaza Mayor, a big square surrounded by beautiful building, is the most impressive the Casa de la Panaderia, built to be the main bakery of the town, nowadays it is occupied by the Madrid Tourist Board while the ground floor houses the Madrid Tourism Center, you can take maps and magazines for free here. In the middle of the Plaza Mayor is located a bronze statue of Philip III, the king who planned the construction of the square. Plaza Mayor was the stage for big events in the city during the centuries, including bullfightings, the city’s inquisition court and three fires: 1631, 1672 and 1790. All these events are recorded in the four light poles, come closer and take a look to see the details. Back to the Calle Mayor, following it until the very end o the avenue, is the Catedral de Almudena, the main Cathedral of the city. Take your time to admire the architecture and the art inside it, it is possible to climb on the top of the cathedral to have one of the best views of the city. 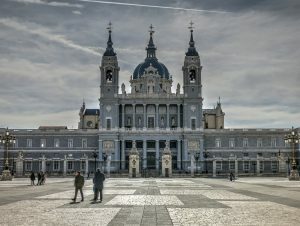 Right in front of the Catedral de Almudena is the royal palace of Madrid, the Palacio Real or Palacio de Oriente. The building is very impressive, clearly inspired by Versailles. 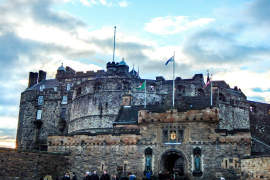 It is possible to visit the interior of the palace and I really recommend if you have time, there are many rooms to visit, including the stunning throne room. All rooms are richly decorated, with many arts and interesting items like porcelains, beautiful paintings, well-detailed frescos, armors, etc. To fully enjoy the palace, and be able to pay attention to the details, you would need around 2 hours to visit its interior. If you don’t have this time, skip the interior visit and head straight to the Palace’s gardens. On the side of the palace, is located the Jardins de Sabatini and behind the palace, the Jardins Campo del Moro, to get to this last one you will need to walk a little bit more, but it totally worth it. The visit to the gardens is completely free. To come back to the Plaza de Cibeles, you can take the metro behind the Teatro Real (Royal Theater). Take Line 2 to Banco de España, it will leave you right in front of the fountain, where you can take the Airport Express back to the airport. Bear in mind that in international flights the ideal time for check-ins in 3 hours before departure, so keep an eye on your watch during your visit to the city. Somehow I’ve never been to Spain, and I love your photos! I’m thinking I may need to brush up on my Spanish and do some planning. Thanks for the tips. I really love Madrid and have been a couple of times. To be honest, whenever I’ve had long layovers anywhere I’ve not considered leaving the airport unless it’s over night! Maybe I’m missing out! I’ve never been to Madrid. It looks amazing. Just wonder how reliable is the public transport. Like you say the bus is 40 minutes but do buses often arrive on time or late? Factoring all in, how long is a long layover to see the city and not too stressed out rushing back for your next flight? I’m bookmarking this! SO Helpful! Madrid is one of my favorite places to visit, wonderful guideline and very informative post. Photos are excellent. Very practical! Will be useful to have in case of a layover there. 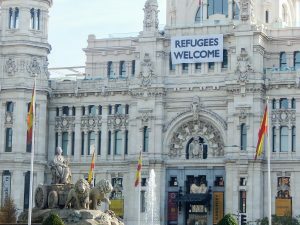 I loved the photo with “Refugees welcome” sign. I have been to Madrid 3 yers ago. Unfortuntely, I stayed there only for 3 days, but I had time to visit it. I plan to visit Spain next year, very helpful guide! I love doing long layovers! Great advice, as I’m always looking to know where to store by baggage and how to get back & forth between the airport and city area. Thank you for sharing! I’m dying to go to Madrid!! Thanks so much for sharing all this! Thank you! We had a long layover in Madrid and while I did find sites to help, none were as detailed as yours. You made out layover so easy. Thank goodness for the recommended Aeroport express bus. That made things so much easier. None of the other sites I visited mentioned you could buy tickets on board. You really helped us have a seamless day!